Time for another post major hangover! Luckily we have Tiger Woods to act as the Cool Blue Gatorade to help squash the throbbing headache we all have after watching DJ beat Oakmont and the USGA. 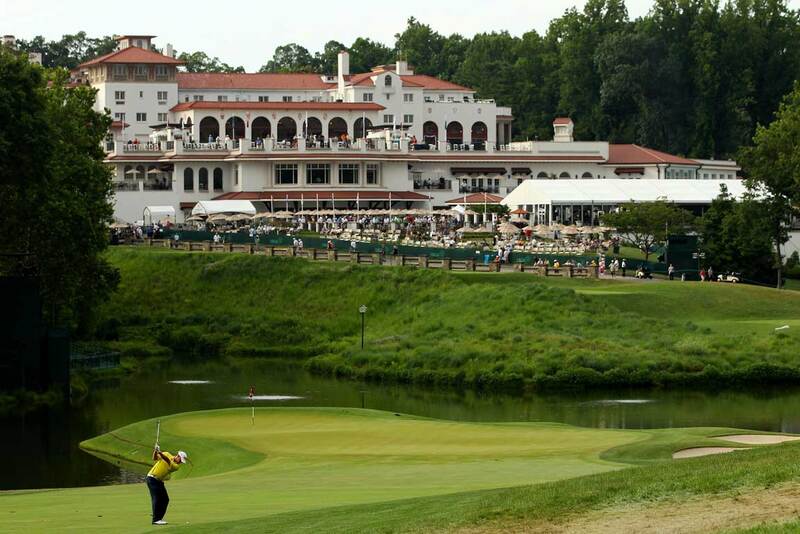 It’s the Quicken Loans National! Turns out new Band of Horses is as good as old Band of Horses. Was anybody else out there as confused as I was when I looked at the schedule and realized that the tournament after the US Open is the QLN? Time to blame the stupid Olympics! The QLN is just the first event this year to be shifted to allow for the Olympics. This also means a PGA Championship in July, with just one event between the British Open and the PGA. That’s just dumb. And because the Olympics are on NBC, and the Golf Channel is owned by NBC, you’re not gonna hear anyone in the media complaining about this. But really, golf in the Olympics are dumb. At least with the current format. I’ll have more on my dislike for it in the future, so get ready for at least a little more complaining. After a year off, the QLN is moving back to Congressional CC, a classic course if there ever was one. 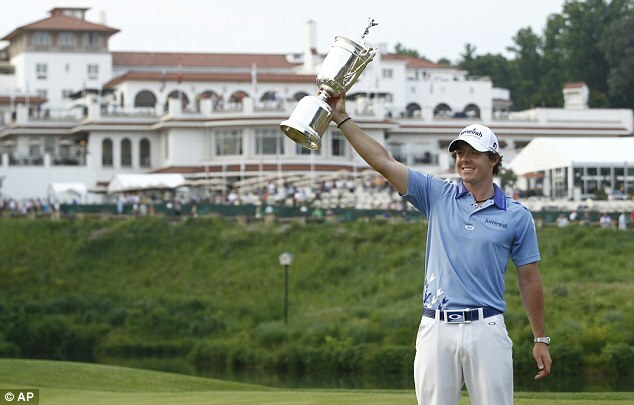 Rory will not be playing this week however, he’ll be in Germany for the BMW International. Semi pudgy Rory in the house! The PGA Tour loves having hosts, big names who can go there and call the tournament their own. Names bring people to tournaments. Casual fans don’t really care about watching “good golf”, they want to see players with names they recognize play golf. And having Tdubs associated with an event, even though he isn’t playing, it huge. Anyway, as we all know, Tiger is unfortunately sidelined. Some reports saying that he reinjured himself (again) so who knows when, if ever, he’ll be back in competitive action. Which actually, on a semi side note, is what makes Lebron the best. He doesn’t get hurt! Can you imagine playing that hard for 82 games, four 7 game series, getting hacked all the time, basically tackled at some points, and then having to do that for some 15 years? Injury prevention is severely underrated in a top athlete. That should be in the scouting report as a top level line item. Just ask Ryan Braun or Derrick Rose how that’s treating them during their careers. I get pretty excited imagining what could have been if only Tiger wasn’t hurt all the time. Injured Tiger will be around the media this week, possibly deflecting questions about his health. So look for some speculative stories about his status coming from the media. It’s that time of year again! With NCAAs done, the summer schedule heating up, the top ams turn pro, expect sponsor exemptions into these different tournaments. This week, we see the pro debuts of Arizona State’s Jon Rham, most recently the low am at last week’s US Open, and Jordan Niebrugge of Oklahoma State, previously the low am at last year’s British Open. Amateurs like this, and others who will be highlighted in the coming weeks, are all trying to pull the Jordan Spieth move of playing well enough on the big Tour using sponsor exemptions to never have to dip down to the Web.com tour. A tall order for sure, but interesting to watch. Look for more of these features in the coming weeks as other top ams attempt to transition. The American Family Insurance Championship at University Ridge in Madison, Wisconsin, or simply Am Fam Champ. In keeping with the times, Steve Stricker, who isn’t even old enough yet to compete in Champions Tour events, serves as host. The Madison native will be out on the grounds and playing in a 9 hole exhibition scramble event along with Brett Favre, Mark Tauscher and Andy North. Now that’ll be a highly attended 9 holes. U Ridge is really a cool course, front nine more open, and then head to a tree lined back nine, so check it out on tv when they show replays of the coverage at night. I’ve never been to a Champions Tour event, but apparently they have fields of only 81, and everyone uses carts. Which just sounds awesome.